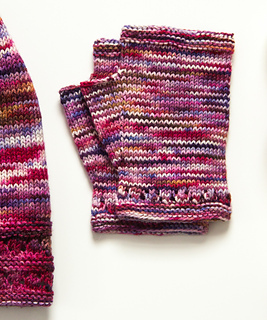 A single-skein pattern for a hat and fingerless mitts in 2 styles. 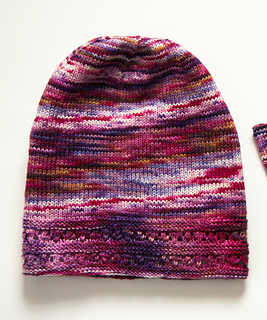 Choose from two hat styles, both reversible. 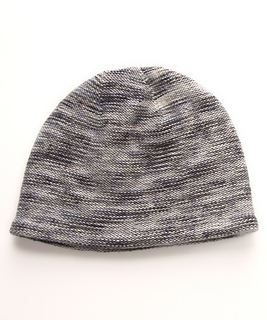 The first style goes easily from city to snow boarding and is a great gift for the style-conscious youth on your list. 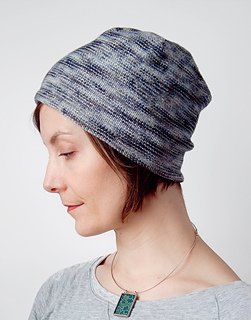 This simple beanie with folded hem is understated and up-to-date. The second style has a feminine touch, with a simple lace border that can be folded up or worn down for an extra slouchy fit. 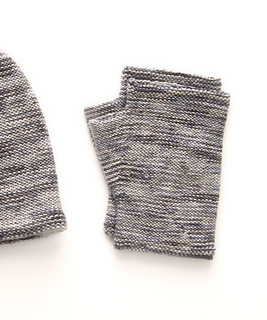 And because it’s nice to use up the whole skein, you can accompany the hat with some matching fingerless mitts. 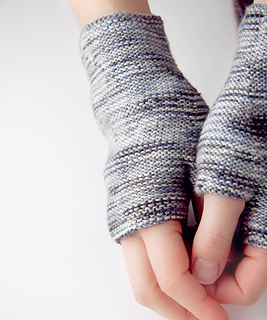 Work them with or without lace. The gauge needle used is 3.0mm. 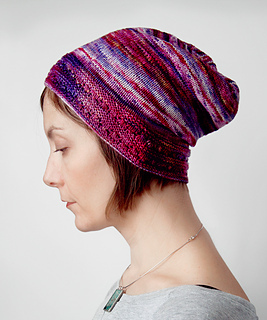 The Craft Council does not list an exact US equivalent for this, but you can use US 2 or 2 1/2. Thank you to all the proofreaders who helped with Metro! You’re the best!